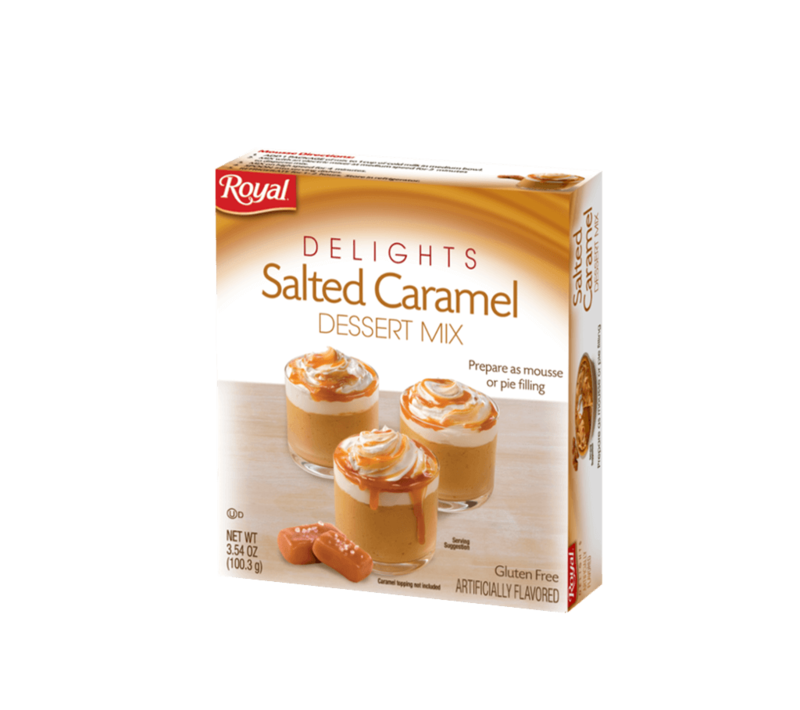 Seduce your senses with the irresistible combination of sweet and salty in Royal Delights Salted Caramel Dessert Mix. Your taste buds will surely go from Single to Taken upon first taste! SUGAR, PALM KERNEL OIL, CORN SYRUP SOLIDS, MODIFIED FOOD STARCH, NATURAL AND ARTIFICIAL FLAVOR, PROPYLENE GLYCOL MONOSTEARATE, SODIUM CASEINATE (CONTAINS MILK), ACETYLATED MONOGLYCERIDES, CONTAINS 2% OR LESS OF THE FOLLOWING: TETRASODIUM PYROPHOSPHATE, SALT, MONO AND DIGLYCERIDES, MICROCRYSTALLINE CELLULOSE, SODIUM CARBOXYMETHYL CELLULOSE, RED 40, YELLOW 5, BLUE 1.